Posted on September 3, 2013 September 12, 2013 by mingilee	This entry was posted in episode and tagged cotton tape, drawing story, fabric marker, handmade, main label. Bookmark the permalink. 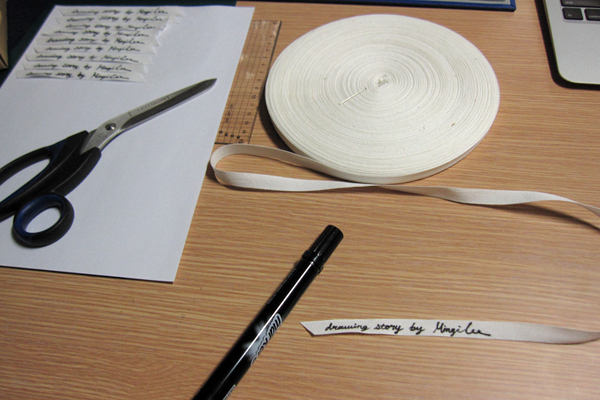 Oh wow, this must take so much time…..your handwriting is lovely.